The Senate received an Executive communication from President Muhammadu Buhari asking the National Assembly to approve a request for for the issuance of $2.786 billion Eurobond for partial financing of the 2018 budget’s fiscal deficit. The Senators who had been on recess since July 24 upon resumption Tuesday went into an Executive Session that lasted for 20 minutes from 11.05 am to 11.25 am. THISDAY learnt from reliable sources that during the Executive Session the Senators were frank in their discussions about recent developments in the Senate in particular and the National Assembly at large. The Senators were said to have agreed to give peace a chance with all members having fruitful discussions about the future of the Eighth Senate as it goes into its last stage. Other resolutions include that Senators agreed to give peace a chance and avoid allowing the Red Chamber of the Federal Legislature to degenerate into an arena of conflict over partisan and personal issues. The APC Senate Caucus leadership headed by Senate Leader, Senator Ahmad Lawan , THISDAY further gathered, also extracted a promise from the Senate President, Bukola Saraki, that national interest will continue to take precedent over any other consideration in the activities of the Senate. The Senators during the Executive Session were reported to have unanimously agreed not to allow external forces and influence to cause disaffection, disturbance or crisis within the legislature. After the Executive Session, Saraki read to the hearing of other Senators the Executive Communication from President Buhari from July to September which include that of the issuance of $2.786bn Eurobond to finance the 2018 federal budget’s fiscal deficit. 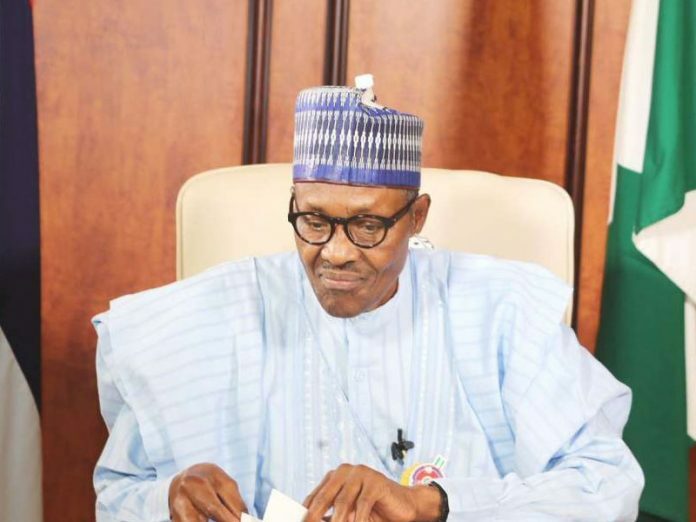 Buhari in the letter dated July 23 explained that he was requesting for the distinct and specific resolutions of the National Assembly for the $2.786bn Eurobond in line with Sections 21(1) and 27(1) of the Debt Management Office, DMO. The President in another letter presented the N693.026 billion 2018 Statutory Budget Proposal of Niger Delta Development Commission, NDDC to the Senate for passage in line with the NDDC (Establishment) Act. The 2018 budget proposed by President Buhari for NDDC is far less than the N729.016 billion budget approved by the Senate for the Commission in 2017. President Buhari also requested for the confirmation of the appointment of Olanipekun Olukoyede by the Senate as the Secretary of the Economic and Financial Crimes Commission, EFCC. In the letter dated September 10 and read at plenary by Saraki, President Buhari said he was nominating Olukoyede in compliance with the provision of Section 2(3) of the EFCC Act 2010. Other letters from President Buhari that were also read on the floor of the Senate by Saraki include Buhari’s declining assent to 10 bills namely Institute of Enterpreneurship(Establishment) Bill 2018, Stamp Duties(Amendment) Bill 2018, Electoral (Amendment) Bill 2018, Industrial Development (Income Tax Relief)(Amendment) Bill 2018 and The Advanced Fee Fraud And Other Related Offences (Amendment) Bill 2017. Others are National Institute Of Hospitality and Tourism ( Establishment) Bill 2018, Nigerian Maritime Administration and Safety Agency (Amendment) Bill 2017, The Subsidiary Legislation ( Legislative Scrutiny) Bill 2018, Agricultural Seeds Council Bill 2018 and National Research and Innovation Council(Establishment) Bill 2017. Saraki also formally announced the death of a member of the House of Representatives, Hon. Funke Adedoyin, and requested for a minute silence in her honour. At this point, Senate Leader, Senator Ahmad Lawan, raised a point of order stating that with the demise of the House of Representatives member and going by the tradition of the National Assembly the Senate should suspend any further debate and therefore moved a motion for adjournment till Wednesday. This was seconded by the Minority Leader, Senator Biodun Olujinmi.